An efficient cooling system is important to maintaining horse power. 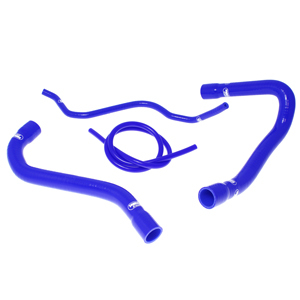 Samco coolant hoses are constructed with 3 layers of automotive grade silicone to outperform and outlast the OEM/STOCK EPDM rubber hoses on your motorcycle. The Samco radiator hoses are better insulated than the stock hoses and can handle over 350 degrees Fahrenheit. Not only do the Samco hoses look great, they can help with making your cooling system more efficient. 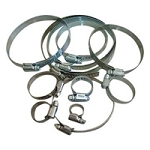 The Samco hoses are designed to reduce coolant restrictions and allow better flow to and from the radiator. The Samco hoses resist oxygen, ozone & UV degradation all of which eat away the stock EPDM rubber hoses. The SamcoSport hose kits include a lifetime warranty.